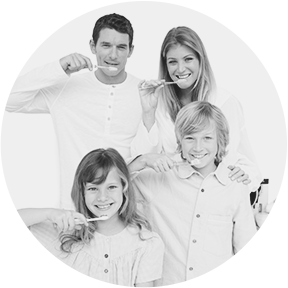 Our practice provides services for the entire family, mainly in preventive care and maintenance. Its always better to take good care of what you have than to try and get it back once its gone. Our Dental Hygienists will scale and polish your teeth, examine you soft tissues, and inform each patient of their needs. Dr Llewellyn will then do an overall exam and make any recommendations for treatment if necessary. We have many children in our practice, and some are third generation families whose parents were patients in their childhood. The objective of our office is to provide our patients with all services necessary to keep them functioning comfortably, smile with confidence, and maintain their dentition and the supporting structures for a lifetime. 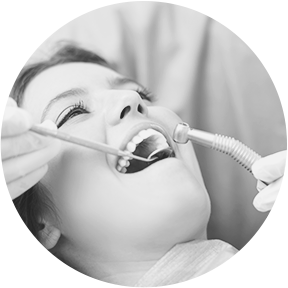 Our services are widely varied and cover nearly every aspect of dentistry. In the event there is a problem Dr Llewellyn believes would be best treated by a specialist, we would refer them to one of our local surgeons, orthodontists or endodontists. We have very good relationships with many specialists and would continue to monitor care before and after their visit to the specialist. Dr Llewellyn will personally ensure that his patients receive only the best care from the best practitioners in our area. The bottom line is when you visit our office, no matter what your dental issue, we can help. Whether that be treatment performed by Dr Llewellyn and his staff, or by diagnosing the problem and setting you up with the proper specialist. Either way whether you’re very young or have more years under your belt, your treatment can start with us. Fillings: The vast majority of fillings are with a tooth colored material. But we do place amalgam if a patient prefers that material. Crowns: Crowns have undergone a big change over time as to what material is best for different positions in the mouth. Porcelain to metal crowns are still quite common, but they are being replaced in recent years with all porcelain substrate which improves the esthetics we are able to achieve. Bridges: Bridges are a non removable prosthetic that can replace missing teeth and vary in size from replacing one tooth to several. They are often made of porcelain to metal but new technology is allowing us to use more esthetic all porcelain in many cases. Root canals: We perform root canals on most teeth but often refer molar root canals to a specialist. By performing the procedure using a microscope, the endodontist is able to navigate the sometimes constricted or curved roots in those teeth to ensure the long lasting success of such a difficult therapy. Extractions: Most simple extractions can be performed by a General Dentist. Impacted or severely broken down teeth often require an Oral Surgeon for the ideal outcome. Removable dentures, both full and partial: Full or partial dentures are a great solution for those who lose most or all of their teeth. Tooth whitening: This has become a very popular item over the last 10 years. Our system of home whitening is effective and has minimal sensitivity involved, if any. Its simple to use and we are almost guaranteed an improvement in just one week. Veneers: Veneers are a thin porcelain covering for anterior teeth that can close spaces, hide unsightly intrinsic stain, and straighten out areas where the teeth don’t line up in an esthetic fashion. Its mainly a cosmetic procedure. Nightguards for TMJ or tooth grinding issues: Treating TMJ problems and worn dentition is the focus of an occlusal night guard. Its at least the first and most conservative treatment. Patients with headaches, neck pain and even sensitive teeth have been successfully treated by just wearing this appliance at night. This is, of course, after many of these symptoms are not associated with a more serious medical problem per a Medical Doctor. 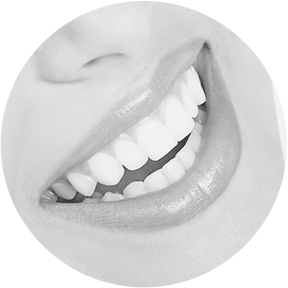 Cosmetic Dentistry has become a large part of what we do in the last 10 to 15 years. The development of new materials and stronger bonding agents has allowed us to correct misaligned teeth, cover intrinsic stains, and basically achieve results that simply were not possible 20 years ago. Many of the procedures are considered elective because they aren’t essential for proper function, but for someone who is self conscious about their smile on a daily basis it can be a life changer. I’ve seen people gain self confidence increase exponentially after a person gets a smile they’ve wanted for many years through the use of porcelain crowns, veneers and bonding materials. And with the use of Invisalign Orthodontics in some cases, the esthetic results are amazing. The newest product is probably the development of what are called “noprep veneers”. These are very thin porcelain veneers that can be placed on the teeth with absolutely no preparation to the patients natural teeth. These are very handy when presented with someone with small teeth and the resulting “gaps” between those teeth. They certainly aren’t the proper restoration for every case, but the option is always good to have. The fact remains that now every case is the same and the procedures and materials used are dependent upon many factors. Some of those being the patients bite, their oral habits, the position of the teeth and the health and position of the gums. The only way to determine if you are a candidate for cosmetic dentistry procedures is to have an in depth examination with study models as well as a conversation as to just what you want to achieve. The materials to do the job are many and varied, but so are the people who desire them. The matching up of the two is an important aspect of treatment. I did my first case involving dental implants in 1987, and my how the face of dentistry has changed since then. Implants have opened up a new world of possibilities to replace one missing tooth or an entire arch. The options are such that its difficult to touch on them all without filling several pages with descriptions and illustrations, but I will go over just a few. The majority of the implant cases are the replacement of one or two teeth in a patient who has an otherwise full arch of natural teeth. The advantage is that the dentist doesn’t have to affect the adjacent teeth and can leave them in their present condition. It doesn’t really hurt the other teeth to use them to support a bridge to replace a missing tooth, but there is nothing as good as a healthy, functioning tooth with no restorations. The way God made it. So we like to leave them unaffected if possible. Implants are a virtual life saver for those who have lost all of their natural dentition. Implants can be placed in several places thereby allowing us to attach a stable denture that will not fall out at the least opportune time. These dentures can be secured by precision attachments that snap onto the denture but are still removable when necessary. This is especially important in the lower arch as anyone with a lower denture will tell you. 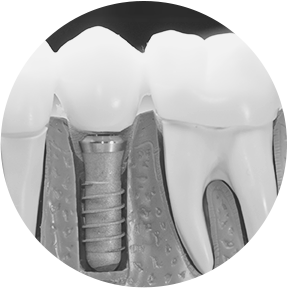 By placing a few more implants, we can fabricate a denture that actually screws into the implants to where it can only be removed by your dentist. It makes for a more care free lifestyle as you can be certain, no matter what the activity, it is going nowhere. This is referred to as a “Hybrid Denture”. That is an overview of both extremes, but anything in between the single tooth replacement and the Hybrid can most likely be accomplished. Being a restorative dentist, I do not perform the surgery to place the implants. The specialty has advanced to the point where I believe a Periodontist or an Oral Surgeon are much more adept at this, and any attempt I would make to perform the procedure myself when the surgeons do such an excellent job would not be in the best interest of my patients. Most implant cases involve a CT scan of the mouth to determine ideal placement, determination of implant size and type, as well as vast surgical experience in all manner of surgery to achieve the ideal result. My office will refer those interested to the best surgeons in the area, and they will work closely with us throughout the treatment planning and surgery so that we can place the ideal restorative solution in as timely a manner as possible. I’ve found the team approach is best for the doctors and the patient, and since patient health and satisfaction is everyone’s goal, we let the surgeon do the surgery and we fabricate the restorations.